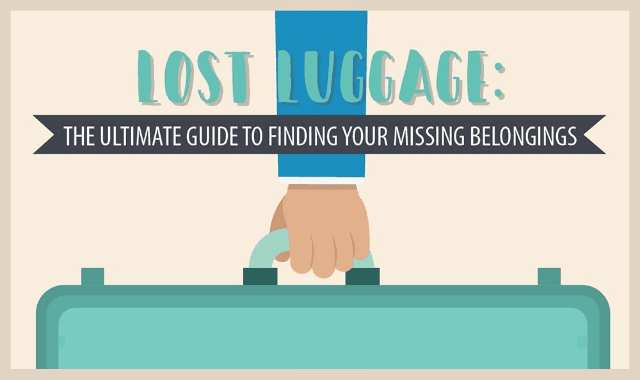 Lost Luggage: The Ultimate Guide To Finding Your Missing Belongings #Infographic ~ Visualistan '+g+"
No matter whether you are heading off on your travels or returning home, there’s no annoyance quite like discovering your luggage has been lost. One by one, everyone else collects their bags from the carousel and you are left wondering where on earth your belongings have gone. So, the two issues which you face are discovering where your bags have ended up and how you are going to get them back. To make sure you are reunited with all of your belongings, take a look at this ultimate guide to finding your missing items.